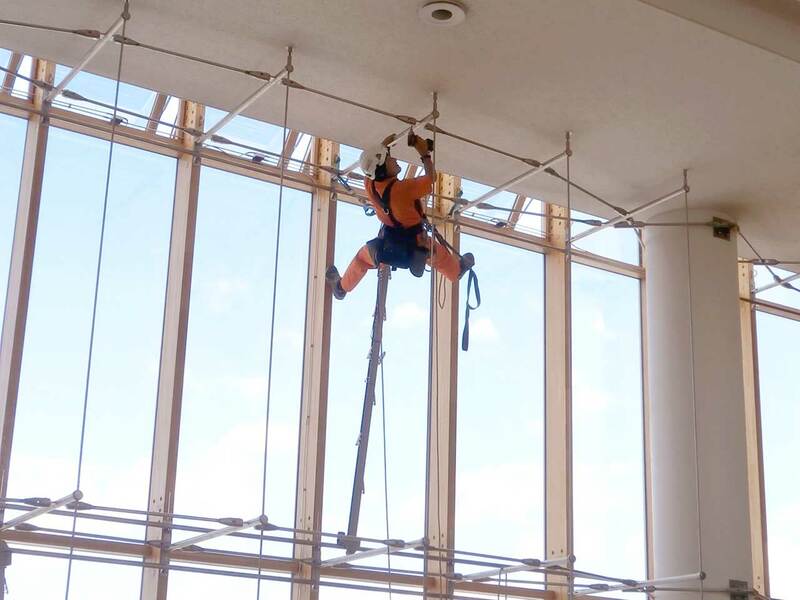 Inspection and maintenance of various buildings, structures in rope access. Shape of the building is different. Complex structure beauty rich in design will attract people to see. But, its beautiful design is not less if you are in difficult maintenance. For example, glass curtain wall that covers the outer wall of the building. Glass curtain wall is design properties is high, it is possible to incorporate a lot of ambient light inside the building, it is used in public facilities and modern building. Inspection of bolts are not essential for the complex combined tension rods that support the structure are always subject to change of tension. But, the rich conditions Aerial is not put is the majority. Also, because crowds of many places and passers and out the location there are many more, most cases limit is large in scaffolding erection. Rope access will solve the problem. 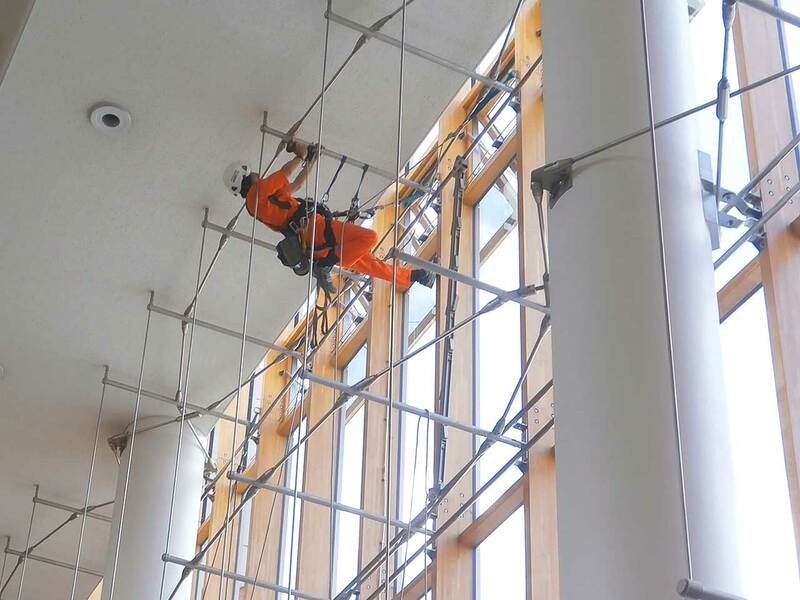 Rope access and, at the same time to secure the safety by applying the rock climbing technology, is a professional technology to ensure the working position and posture. The difficult subject to the conditions of location, construction and research in a place that has been and implementation as long as it is a conventional is difficult, it is done without the use of scaffolding and aerial work platforms. In the building of complex shapes and special structure, no less when the inspection and construction can not be carried out quite necessary because it is deemed necessary is complicated ready to accompany large-scale scaffolding erection and it. 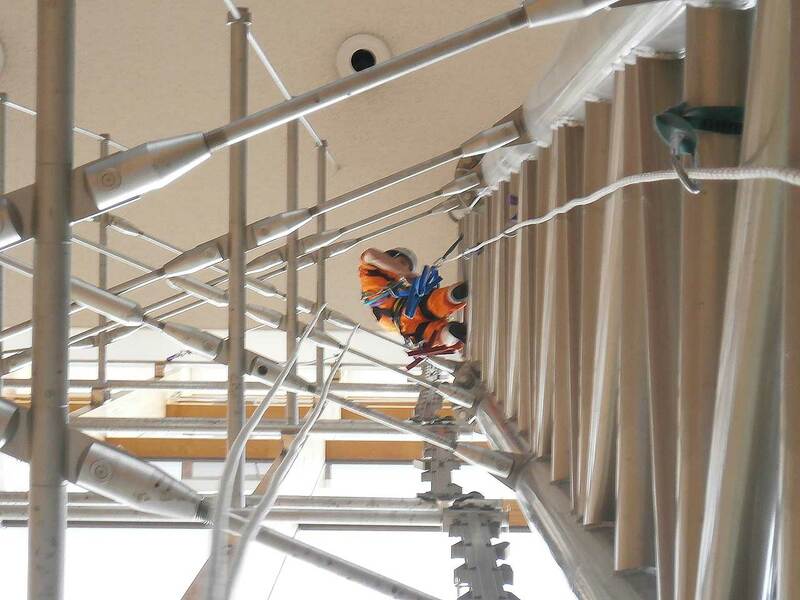 Rope access is, it is possible to reduce the cost and effort associated with scaffolding erection, can be set flexible construction period. In addition, the burden of the passers-by and residents, neighborhood residents can also reduce, you may or may not be possible to work without the limitations of hours of shops and public facilities. Please contact us if you experience any problems at altitude working in buildings of complex shapes. 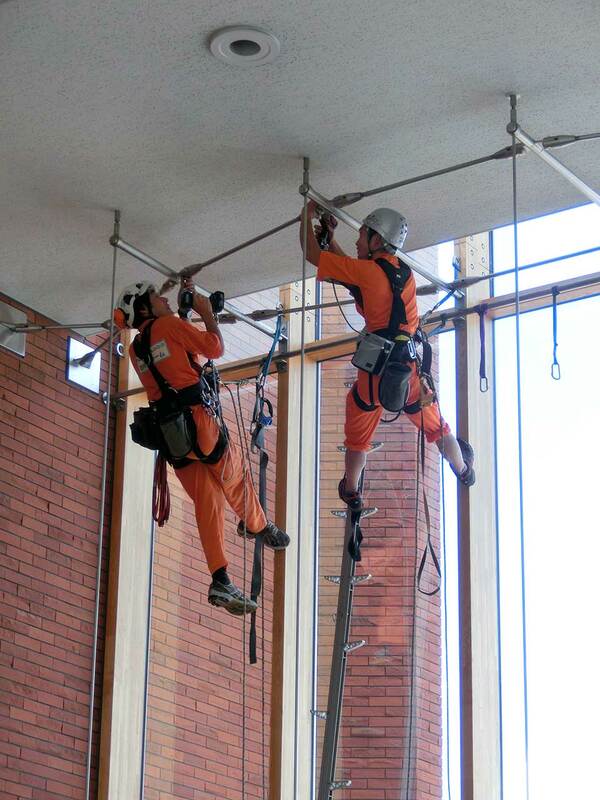 Aerial team, we will solve the problem in the rope access technology.